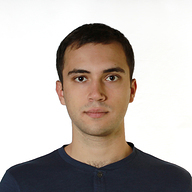 Konstantin is a developer in the Neo4j engineering organization. He holds a master’s degree in informatics from the Taras Shevchenko National University. While being a full-time student there, he also worked full time in the Kiev office of the Copenhagen startup Agillic, primarily working on the data management layers of the platform. He has since then been working in the Kiev office of Yandex. Konstantin is moving to Sweden and will be working in the Malmö office. Reach out and connect with the Neo4j staff.